The product "BMW 2002 Jägermeister Racing Team DRM Norisring 1974 Helmut Kelleners" was successfully added to your wishlist. Raceland Gold Edition made by Spark 1/18th scale. 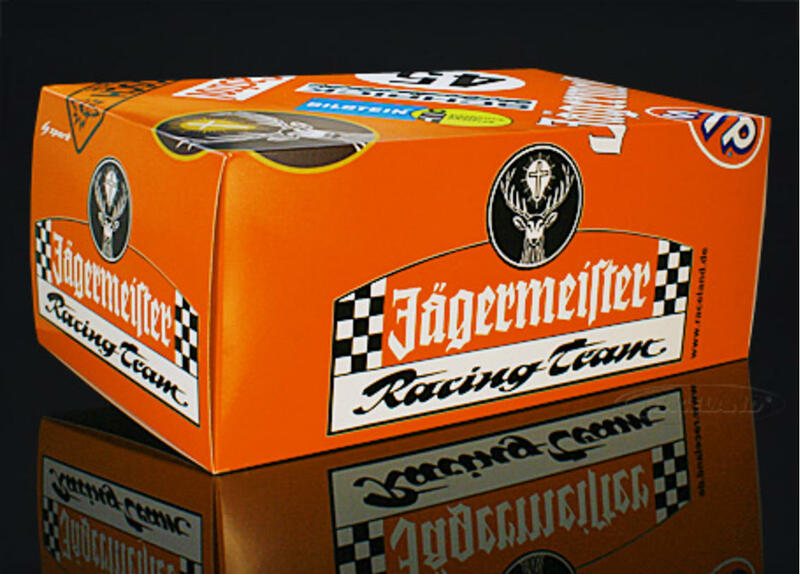 Exclusive limited edition of just 300 pieces worldwide, individually numbered, made exclusively for Raceland in a special orange Jägermeister packaging. High quality resincast model car with photoetched parts made by Spark. Model size approximately 25 cm. 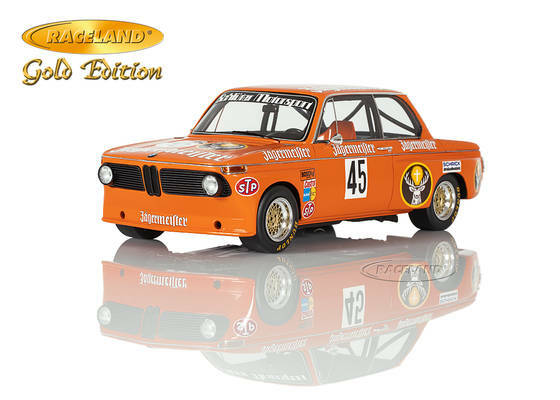 This special BMW 2002 model has been created to celebrate our company's 25th anniversary in 2014. 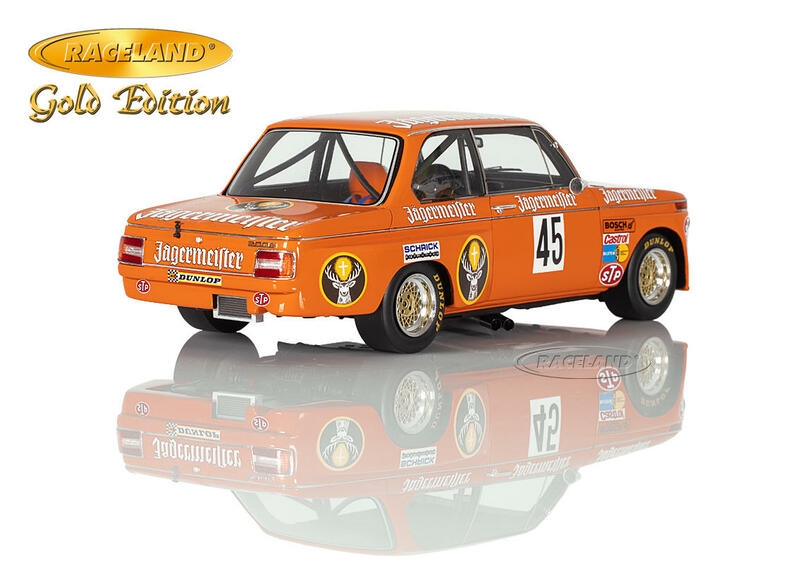 This version has been chosen as a typical race touring car of the wild and crazy 1970s in the popular German Touring Car Championship DRM of that time. 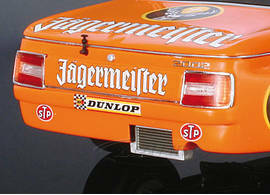 The car had been raced by Helmut Kelleners already a year before under Koepchen BMW colors using a 16-valve Schrick engine. 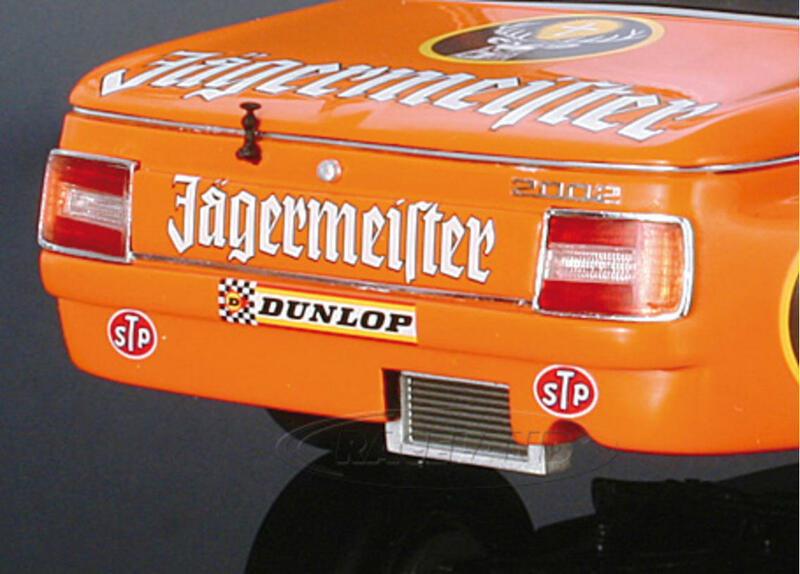 For the 1974 season in division 2 of the Deutsche Rennsport Meisterschaft underwent some technical changes: while the old front of the 1973 car remained the complete back of the car was changed and equipped with the new square rear lights of the BMW 2002. In addition the rear axle was equipped with an additional oil cooling system for which the body was cut out. Spark has made every effort to realize all these special features of this car by even changing their moulds. 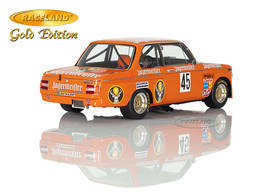 The result is a truly authentic racing car of the 1970s and a very special collectible indeed.Helmut Kellners was a front runner in Division 2 in 1974 with this car even if this special Norisring version suffered a suspension failure during the 1974 200 mile race at Nuremberg and retired.